Jane Philpott was deeply ambivalent about talking earlier this week when she welcomed a Maclean’s reporter to her MP’s office in the Confederation Building across the street from Parliament Hill. It’s not an office the former Treasury Board president knows well: she had fancier and more centrally located ministerial offices in a succession of senior roles in Justin Trudeau’s cabinet since 2015, before she resigned from cabinet on March 4. Now she is only the Liberal MP for the Ontario riding of Markham—Stouffville. 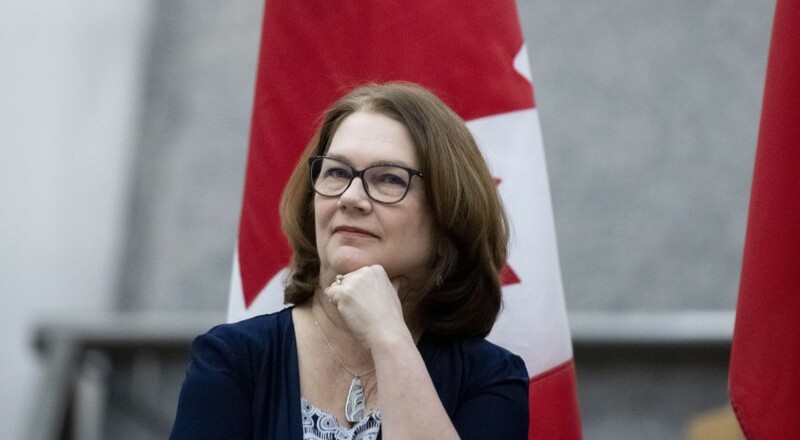 This is Philpott’s first interview since she resigned over Trudeau’s handling of the SNC-Lavalin controversy. She believes, as she put it, that “there’s much more to the story that needs to be told” but that it can’t come out because “there’s been an attempt to shut down the story”—an attempt she attributed to the Prime Minister and his close advisors. Chicken might be the world’s most popular meat – 65 billion birds are consumed each year – but beef is by some margin the hardest to defend. Raising livestock is notoriously inefficient: last year an article in the journalScience found that meat and dairy provides just 18% of our calories and 37% of our protein while taking up 83% of farmland. Cattle are responsible for an unholy proportion of agriculture’s greenhouse-gas emissions. When it comes to sustainable food choices, is the customer always right? Author gaianicityPosted on March 21, 2019 March 21, 2019 Tags beef, chicken, health concerns, meat consumptionLeave a comment on Have we hit ‘peak beef’? In November 2005, in the waning days of a Paul Martin-led Liberal federal government, the Kelowna Accord was forged. 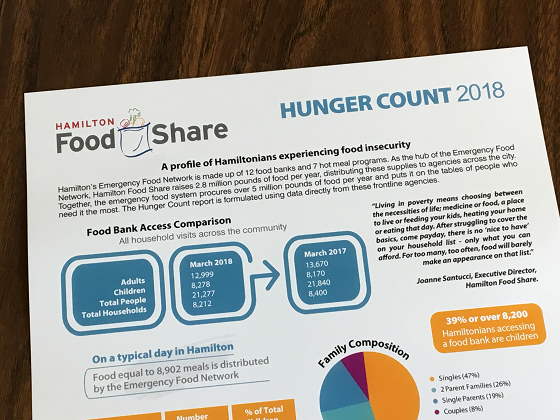 The Hunger Count tells us who needs food, how often and what their reasons are for using the emergency food network. This year’s HungerCount captures a snap shot of hunger in Canada, and we’ve been asking the question – how many people using food banks is okay? In March 2018, Canadians visited food banks 1.1 million times. This statistic is unacceptable and it’s time to take action. As part of our mandate, Food Banks Canada advocates for meaningful change. Continue reading below to see highlights from our first policy recommendation. The fact is that the way we support our most vulnerable citizens has not evolved since the 1990s, and people remain mired in a cycle of poverty that is difficult to escape. 60% of those in need of food banks rely on some form of social assistance. Individual provinces left to themselves are not a reliable option in the move towards a basic income for all. The recent change of government in Ontario illustrates this. The desire to take steps towards a basic income is a national issue that affects all Canadians in one way or another and we are asking the federal government to show leadership on this front. You can read all of our recommendations in greater detail here. 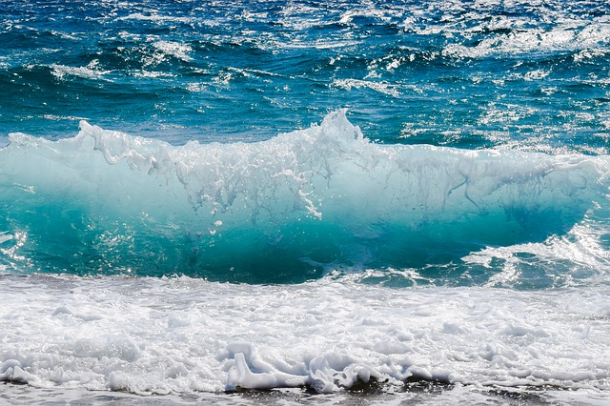 The breakthrough opens the door for widespread generation of hydrogen fuel powered by wind and solar energy. Image courtesy Brilliance China Automotive Holdings Ltd.
There’s not much urgency about tackling climate change and driving the switch to electric vehicles in Canada’s new federal budget. There are some incentives and voluntary targets for EVs but, on balance, the budget is an example of the mediocre policies holding North America back from catalysing the migration to electric vehicles (EVs). We now have proof from around the world that strong policies are what drives change. China has disruptive legislation accompanied by a plethora of complementary measures. Canadian/North American initiatives are mild while the European Union is somewhere in between. The results are that China already offers a wide selection of EVs and sales are already booming, the European migration to EVs is imminent while North American governments and automakers are lagging behind, with modest exceptions in some progressive U.S. states and Québec and B.C.. These differences are important because the transportation sector accounts for approximately 60 per cent of oil consumption. Three studies confirm that even a moderate penetration of EVs will have devasting impacts on the petroleum sector. Even Shell believes peak oil is imminent and is engaged in major strides to migrate to clean tech and become the world’s largest power company. The Ontario government is slashing a series of programs that were designed to help save energy in buildings. It’s all part of a plan that the province claims would help “businesses improve their bottom line,” says a leaked provincial document. The cuts, which sources told National Observer were expected to be confirmed by Energy Minister Greg Rickford at a news conference at Queen’s Park in Toronto on Thursday, are the latest in a series of moves taken by Premier Doug Ford’s government to undo climate change action in Canada’s most populous province. Details of the plan were initially posted on a government website on Wednesday, before promptly being removed, according to sources who saw the written version of the announcement. 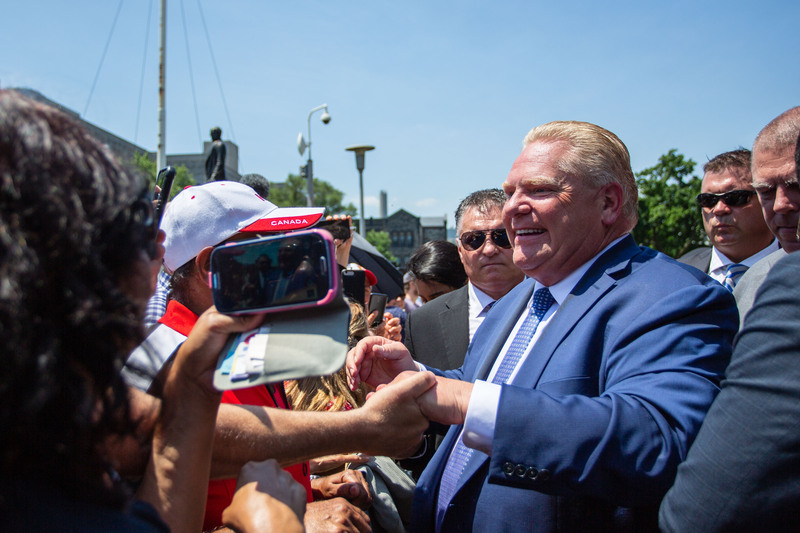 The changes would affect the Save ON Energy program, which was designed and launched in 2010 in an effort to help Ontario residents save energy and money, and reduce the province’s carbon footprint. Its programs and incentives are offered by Ontario utility companies like Hydro One and Toronto Hydro. The programs themselves are powered by the Government of Ontario and the Independent Electricity System Operator, a Crown corporation that oversees and manages the province’s electricity operations. 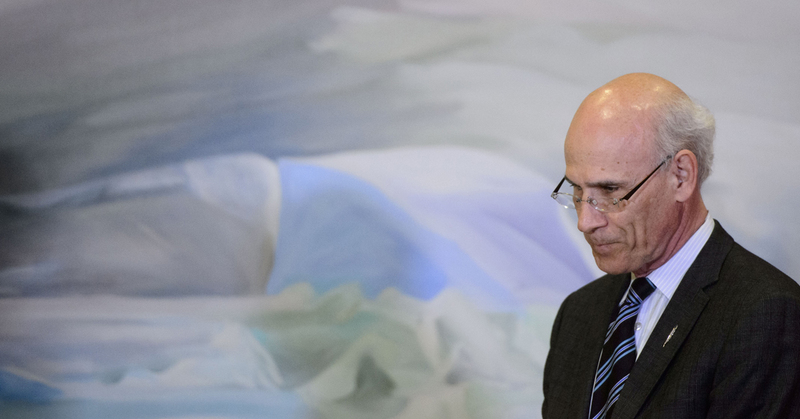 Photo: Clerk of the Privy Council Michael Wernick taking part in a cabinet shuffle at Rideau Hall in Ottawa on Monday, March 18, 2019. Following the shuffle, he announced his resignation. The Canadian Press, by Sean Kilpatrick. Former attorney general Jody Wilson-Raybould noted in her opening statement on the SNC-Lavalin affair before the Standing Committee on Justice and Human Rights, on February 27, that the attorney general must “always (be) willing to speak truth to power,” a point that was reinforced by NDP committee member Murray Rankin. It is ironic that this concept was raised first by politicians and not public servants: the concept of “speaking truth to power” is a mantra in the public service; it demands that public servants tell elected officials the truth, even when they don’t want to hear it.